Human milk oligosaccharides (HMOs) are complex sugar molecules that are only present in breast milk. They are the third most abundant constituent of human milk after lipids and lactose. More than 200 structurally different HMOs have been identified. The most abundant HMO is 2′-fucosyllactose, which is produced by about 80% of all lactating mothers at concentrations of up to 2 g/L. Scientific studies have shown that HMOs, and 2′‑fucosyllactose in particular, have a positive impact on infant development. HMOs are prebiotic, i.e. they specifically promote the growth of beneficial microorganisms, and at the same time they inhibit the growth of pathogens. Jennewein Biotechnologie initially launched HMO 2′-fucosyllactose onto the global baby food market in 2015. As a leading international biotech company, Jennewein Biotechnologie manufactures an extensive portfolio of innovative HMO products (complex human oligosaccharides (HMOs) and rare monosaccharides, such as 2′‑fucosyllactose, 3-fucosyllactose and lacto-N-tetraose. These rare sugars are used in the food industry (particularly infant milk formulas), the pharmaceutical industry, and the cosmetic industry. The manufacturing process involves state-of-the-art fermentation techniques. The company is building one of the largest fermentation plants in Central Europe. In 2015, the US Food and Drug Administration (FDA) granted Jennewein Biotechnologie a license to market 2′-fucosyllactose making it the first company to introduce the first biotechnologically produced human oligosaccharide into the infant feeding market in the United States. This was followed in 2017 by European Union authorisation under the Novel Food Regulation. 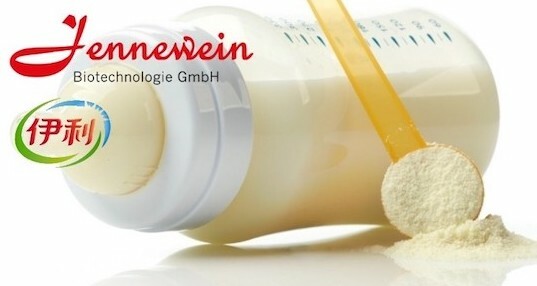 Jennewein Biotechnologie works with most of the global baby food companies, and several infant milk formulas around the world now contain 2′-fucosyllactose (e.g. Abbott Similac).